In a bowl, combine the salt and boiling water until the salt is dissolved. Pour in the cold water. Check to make sure that the water is not warm anymore, and if it isn’t, add the scallops to the brine. Leave them in for 10 minutes (no more or they will get salty) and then take them out and rinse in cold water. Set them on a plate lined with paper towels. Heat the clarified butter in a stainless steel skillet (not non-stick!) until it ripples and just begins to smoke. 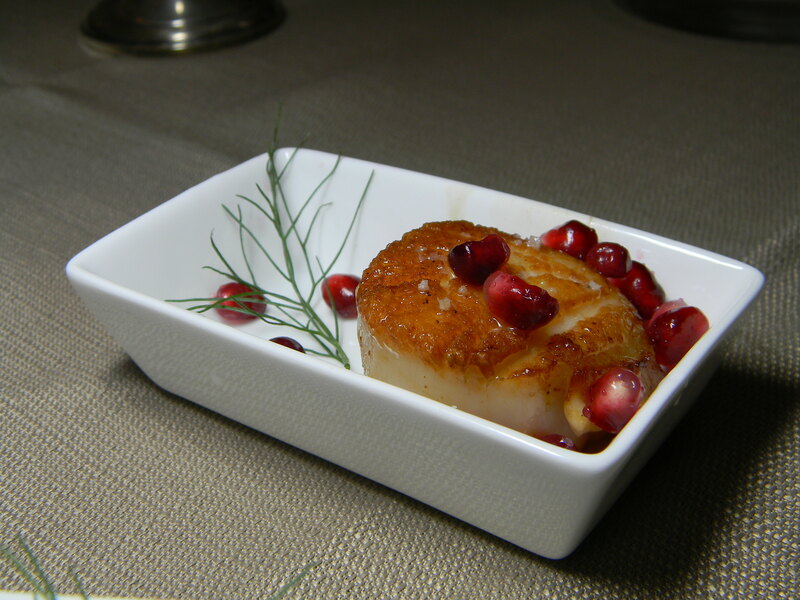 Add the scallops, searing for about 3 and a half to 4 minutes on one side – until they are good and caramelized. (Don’t let the scallops touch each other or they will not sear.) Flip them and cook for another 2-3 minutes or until the other side is caramelized. Sprinkle with finishing salt and serve with pomegranate and fennel fronds and ENJOY! 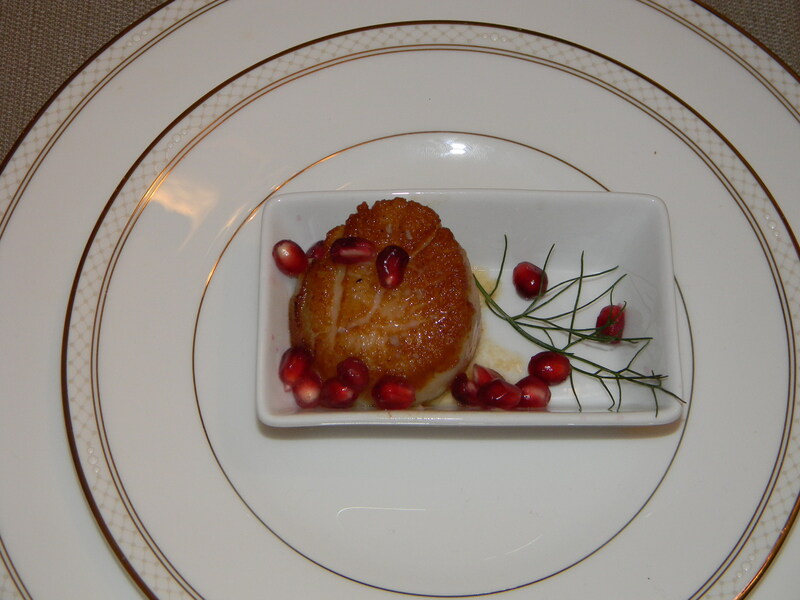 *As an amuse bouche, we just had one scallop per person, but you could use as many as you want to. If using a pound or more, double the brine that you make. Also- vary the amount of clarified butter you use based on the number of scallops you are cooking and the size of the pan. The scallop preparation is from Thomas Keller’s Ad Hoc at Home cookbook that was a Christmas present this year- one that we’re already enjoying very much!